Finding that perfect baby boy name isn't always easy. However, with all the amazing names out there, one of them if sure to be perfect for your little guy. Whether you prefer classic monikers or the hottest names of the moment, you'll have plenty of options to choose from. 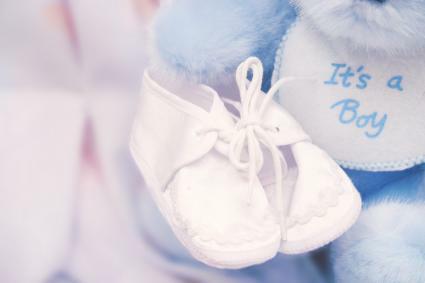 As you peruse the options for naming your little boy, it's easy to get overwhelmed. However, certain naming styles may appeal to you. The best way to decide is to keep looking until you find that one special name that you and your partner agree on. One thing is sure - there are plenty of options to consider. Have you noticed how many of the names that were popular when you were a kid, are no longer popular today? That's because names go in and out of style, just like fashions. One way to choose an on-trend name for your baby is to keep an eye on what's popular now. If you stick to the top 100 baby boy names, you'll know that your little guy has a moniker that is right in style with his friends and classmates. Jonathan - Dating from Biblical times, Jonathan is a consistently popular boy's name that means "given by the Lord." It has a number of cute nicknames, such as Jon, Jonny, and Jack. Timothy - This Greek name has remained popular for many years and means "one who honors God." Nicknames include Tim and Timmy. Benjamin - This Old Testament name means "son of the right hand" and has been in the top 200 baby for the last 100 years, according to the Social Security Administration. Parents often use the nickname Ben for short. Nathan - A Hebrew name meaning "to give," Nathan is another classic choice for baby boys. It has the attractive nickname of Nate. Christopher - Another popular choice for boys is Christopher. It comes from the Ancient Greek and means "bearer of Christ." Nicknames include Chris and 'Topher. If you belong to an African American family, consider black names for baby boys, such as Dashaud, Eddison, and Jalal. There are also lots of great Arabic baby names, including Xavier, Hassan, and Omar. If your ancestors hail from Germany, consider one of the many German baby names for boys, including Claus, Oskar, and Karl. Irish baby names are popular for boys, whether you have Irish heritage or not. Consider examples like Aiden, Liam, and Brendan. If you have Russian heritage, consider a Russian baby name for your little guy. Popular options include Boris, Ivan, and Vladimir. Dax - This French name means "one who is a leader." Zane - This name means "gift of God" and comes from the Hebrew language. Cray - This Gaelic name means "one with curly hair." Xan - This variation on Alexander means "defender of men." Zenon - A variation on several Greek names, this name means "gift of Zeus." On the other end of the spectrum are old-fashioned baby names. If you love the sound of names like Abel and Raymond, you might prefer to look at names from other eras. Some parents prefer a name that speaks to their family's sense of originality. Choosing a unique baby boy name ensures that your son won't have to share his name with anyone else in his class. The perfect name is different for everyone. It depends on your background, your personal taste, and the sound of your last name. However, you can use the following process to pick the ideal name for your son. With all the choices out there, many parents feel overwhelmed. The key to narrowing down the list is choosing a style that fits your family. Consider the names that already appeal to you. What do they have in common? Those commonalities point to your naming style. Your baby boy's middle name and last name will also affect your choice. Stay away from names that rhyme, have too many syllables, and are too hard to say. Instead, pick a name that shares some of the same sounds without sounding too cute. Your son's initials are also important. When you think you're ready to pick, write the initials of his full name. Does it spell anything offensive or strange? If not, you're all set. If you're having trouble deciding, make lots of lists of names you like, whether the names are royal or modern or inspired by fiction. Go over them with your partner. Each of you can rate the names on a scale of one to ten, and then re-order them according to your preferences. Ultimately, the ideal name for your baby boy is out there. Take lots of time looking at the options and trying out different combinations. That way, you'll know that your final choice is the best name for your little guy to carry for the rest of his life.